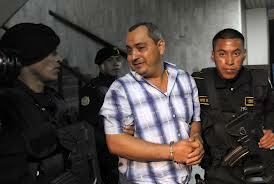 Guatemala extradited to the United States a suspected drug trafficker wanted for alleged ties to Mexico’s notorious Sinaloa cartel, the U.S. Department of Justice said on Friday May 1st. Eliu Elixander Lorenzana-Cordon, 43, arrived in the United States on Thursday April 30th and was arraigned on Friday May 1st , in the U.S. District Court for the District of Columbia, the department said. Lorenzana-Cordon was arrested in 2011 by Guatemalan authorities along with his father, Waldemar, on charges of drug trafficking. They trafficked Colombian cocaine to the United States through El Salvador, Guatemala and Mexico. Between 1996 and 2012, their narcotics smuggling operation is alleged to have received and stored tons of cocaine to import illegally into the United States, the department said. They are alleged to have had dealings with the Sinaloa cartel, one of the most powerful drug smuggling criminal organizations in the world. Waldemar Lorenzana-Lima was extradited to the United States last year. He pleaded guilty last August to conspiring to import more than 450 kg (990 pounds) of Colombian cocaine into the United States. Eliu Lorenzana-Cordon’s brother, also called Waldemar, was arrested as part of the same indictment in 2013 and extradited to the United States in November 2014. He is awaiting trial. The Sinaloa cartel’s leader, Joaquin “Chapo” Guzman, formerly Mexico’s most wanted man, was captured in February 2014 with help from U.S. law enforcement agencies. He faces extradition, but is still in Mexico.